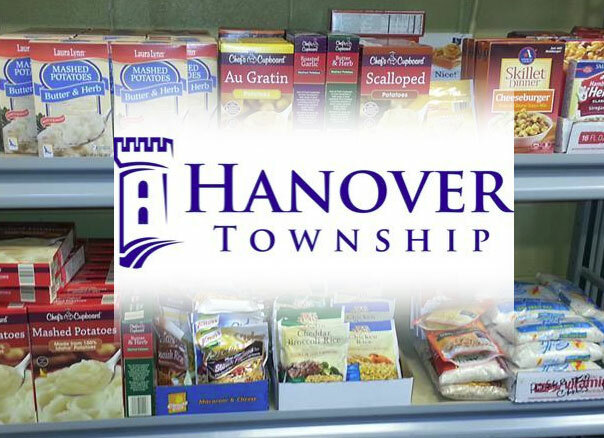 The Needy Families of Hanover Township serviced by the Food Pantry month after month thanks to donations of food and money. Mary’s Millennium Council has been a proud sponsor of the Food Pantry for years. Five years ago, we decided to step up our game and invited the community to assist us by participating in the annual Knights Challenge 5k Run / Walk / Kids Fun Dash. Year after year, runners and walkers have come from near and far to join us in our quest to help stamp out hunger. Once again, the public did not disappoint us. God was shining down on our race today. 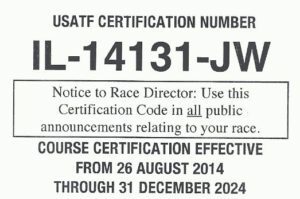 When we started marking the course this morning, there were showers in the area, but by race time, the skies had cleared and the rains had stopped. As the race progressed, the skies turned cloudy, but still no rain. It was a comfortable temperature, but a bit humid. No worries, we had plenty of water on hand and of course the Streamwood Fire Department was standing by in case anyone needed assistance. Fortunately they sat idle the whole time. At the conclusion of the main race, several youngsters participated in the Kids Fun Dash. This is the second year we’ve done that dash and we hope that word spreads so that more kids participate next year. 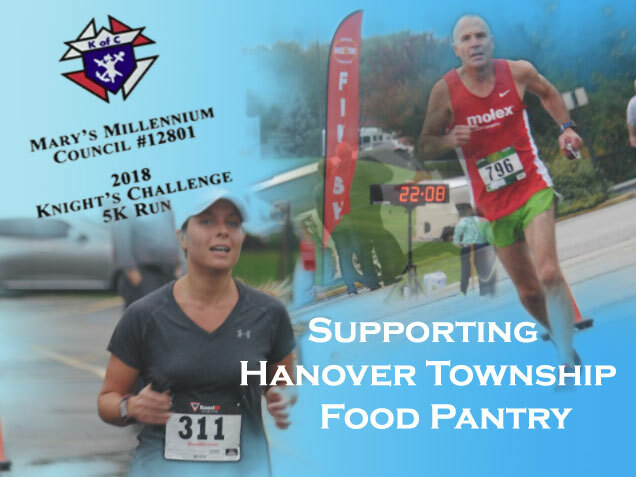 They have a great time and take home a t-shirt and ribbon to show their support for the Hanover Township Food Pantry. Pictured above are the overall male and female winners from this year’s event. Our own Brother Knight Dan Klein led the males, crossing the finish line at 22:13.5, and Colleen Clessen was the first female to cross the finish line at 25:30.0. They were both awarded plaques for their accomplishments. Medals were distributed to first, second, and third place male & female winners in each age bracket. 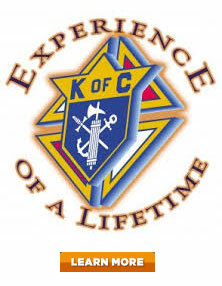 Thank you to All that Volunteered, Sponsored, and Participated in the Knights Challenge. Special thanks to the Streamwood Police and Fire Departments and Hanover Township Community Service for helping keep everyone safe. See you next year.